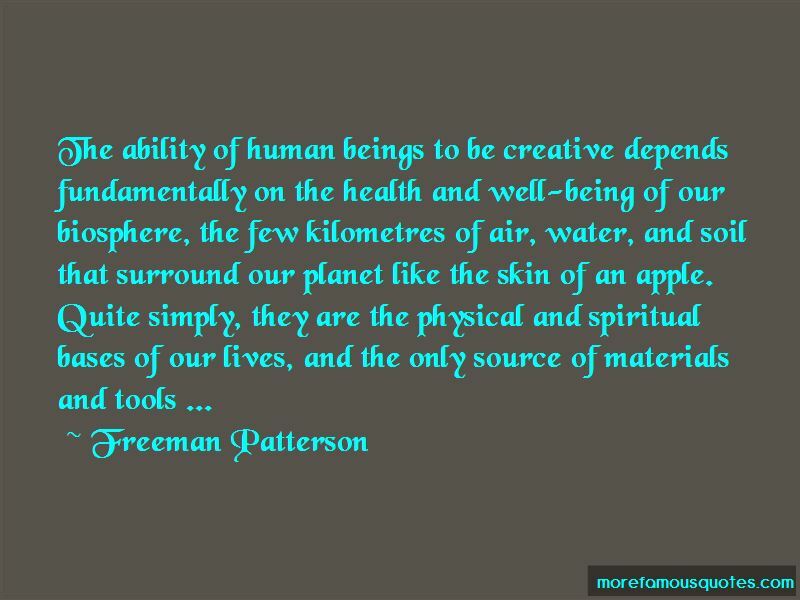 Enjoy the top 17 famous quotes, sayings and quotations by Freeman Patterson. 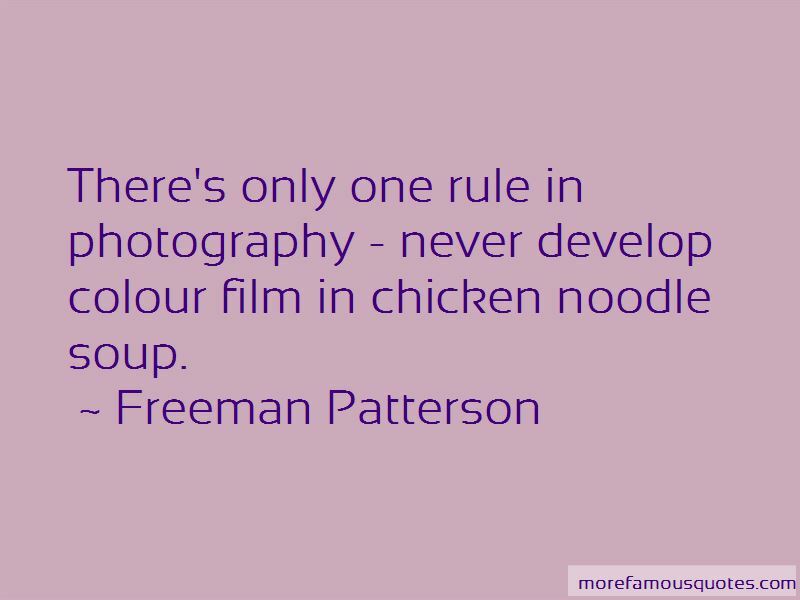 There's only one rule in photography - never develop colour film in chicken noodle soup. If you do not see what is around you every day, what will you see when you go to Tangiers? Seeing, in the finest and broadest sense, means using your senses, your intellect, and your emotions. It means encountering your subject matter with your whole being. It means looking beyond the labels of things and discovering the remarkable world around you. It seems to me that the whole purpose of the workshops is really twofold. One - to help people make better pictures, and two - to unleash their creativity to the fullest amount that they possibly can. There is a close connection between art and religion in the sense that both are concerned about questions of meaning - if not about the meaning of existence generally, then certainly about the meaning of one's individual life and how a person relates to his or her total community/environment. 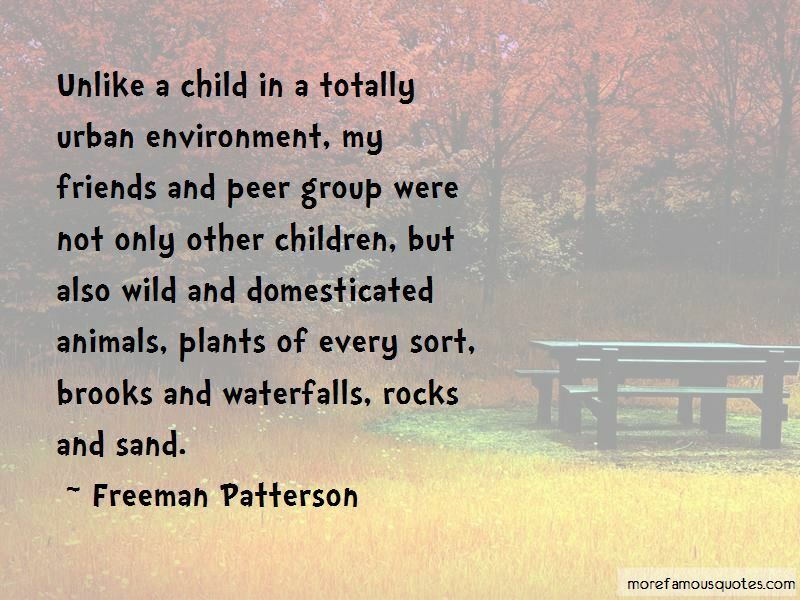 Want to see more pictures of Freeman Patterson quotes? 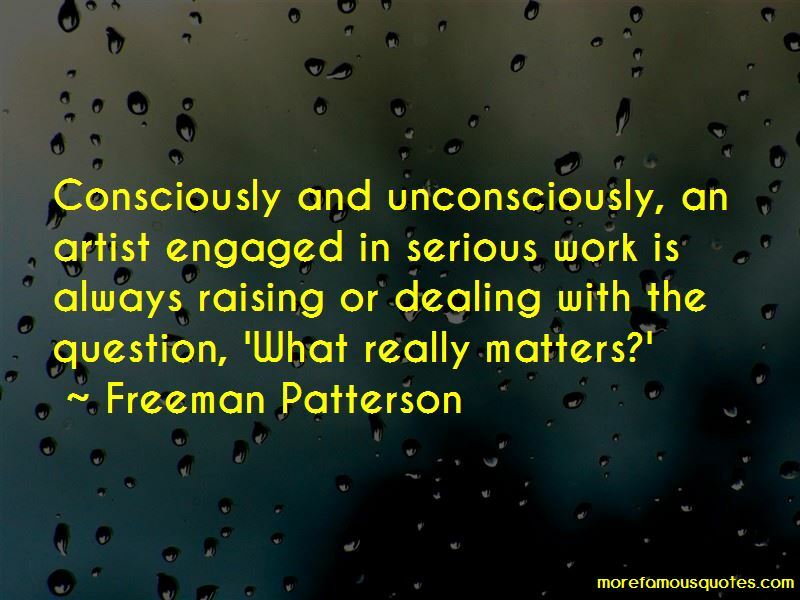 Click on image of Freeman Patterson quotes to view full size.